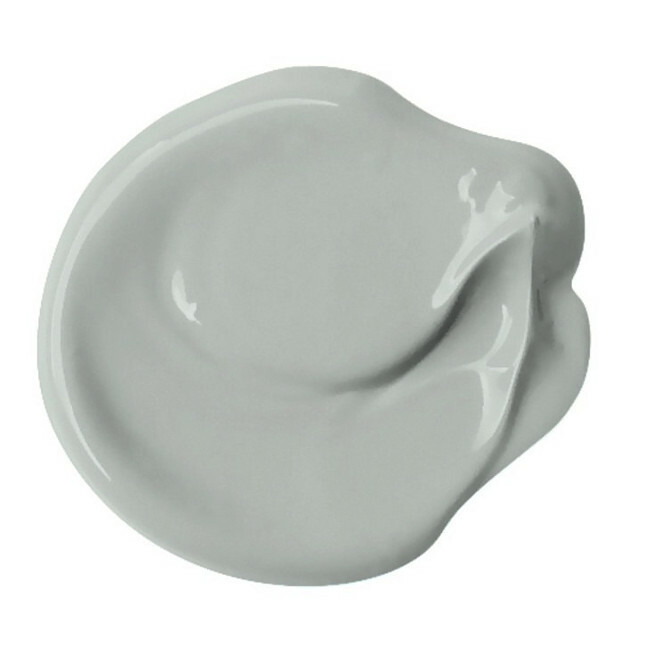 Popular Paint Color: Benjamin Moore Stonington Gray HC-170. 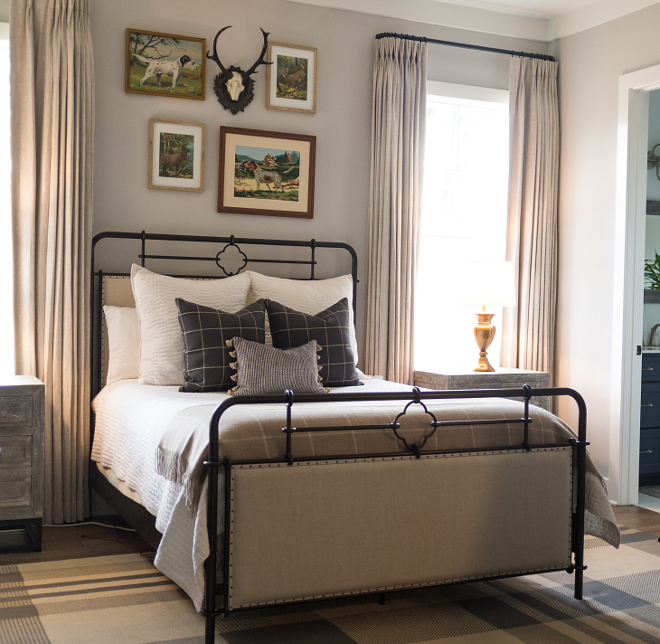 “Benjamin Moore Stonington Gray HC-170” gets a lot of attention from homeowners and interior designers because it is what I like to call a “chameleon” paint color – which means, it will not “fight” with the color in the next room nor will it feel overwhelmed with most decor. 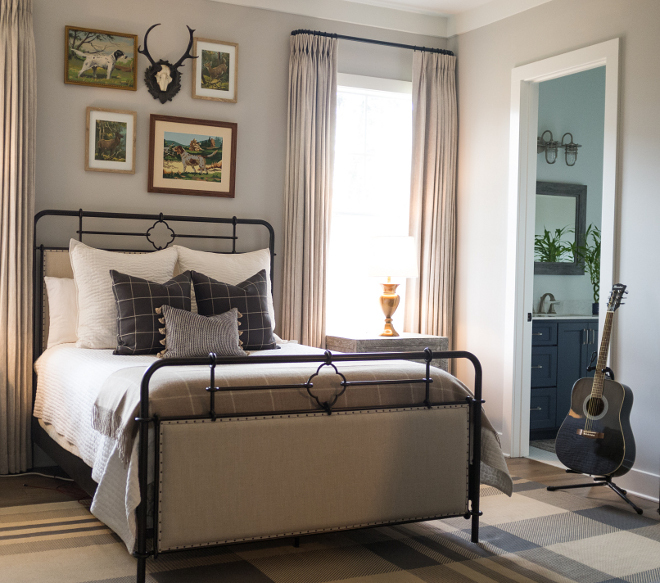 Benjamin Moore Stonington Gray HC-170 is a stormy grey paint color that feels warm and calm, instead of cold. This is a grey paint color I often recommend to my own clients. 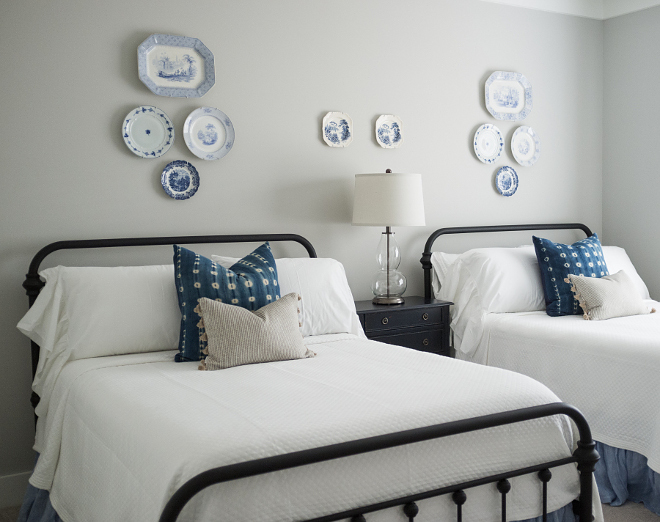 Benjamin Moore Stonington Gray HC-170” looks great with many different types of light and decor. Table Lamps: here, here, here, here & here. Dresser can be found here – similar nightstand – here & here. Accent Pillows: similar style: here, here, here, here, here, here, here, here & here. Grey Bedroom Paint Color: Benjamin Moore HC-170. Plates on Wall: Vintage – similar here & here. White Ruffle Pillowcases: Here & Here. Lumbar Pillow: Sea Salt – similar here & here. Pillows: Vintage – similar here, here & here. See the entire House Tour on Home Bunch! Wayfair: Up to 70% Off Annual Upholstery Sale! Plus, many new items on Clearance! Pottery Barn: Up to 40% Off on Selected Rugs, Lighting & Bedding. Serena & Lily: New Pillows & Rugs!